To experience downtown Louisville—a city steeped in history yet undergoing a vibrant resurgence—the premier place to stay is the new Historic Howard Hardy House. Having weathered the better part of two centuries of grand river city life, the Howard Hardy House has recently been meticulously renovated as a multi-unit short term rental destination. The Howard Hardy House is centrally located on 2nd Street directly across from the Omni Hotel, and a short walk from the downtown nightlife of 4th Street Live, Riverfront Park, the Kentucky Center for the Arts, the YUM Center Arena, and the bars and restaurants of Main Street. The Howard Hardy is also conveniently a few minutes ride from the shops and galleries of NuLu, the beauty of Cherokee Park, the University of Louisville, Bardstown Road and Frankfort Avenue, and Churchill Downs racetrack. The whole house sleeps up to 22 and is available for rental by wedding parties or other groups, or by the individual unit on either a short-term basis or longer executive stays. Each unit is carefully curated with an eclectic mix of original art and stylish furnishings with thoughtful details added throughout. The result is a one-of-a-kind option for visitors who want to experience the historic charm and modern sensibility that Louisville has to offer. The Howard Hardy House is one of only two antebellum homes still standing in the downtown Louisville. 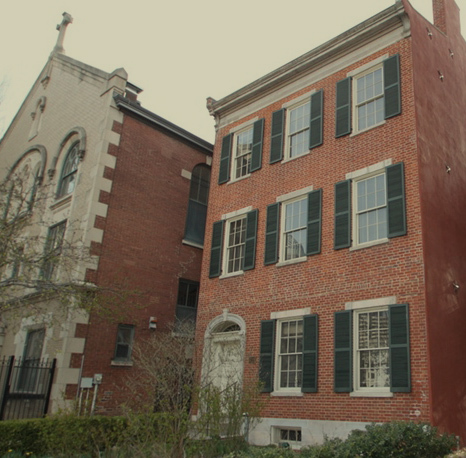 Originally built as a private residence and rumored to have served as a stop on the Underground Railroad, the private home was converted in the latter half of the 19th century to serve as a boarding house for medical students at the newly founded University of Louisville Medical School. 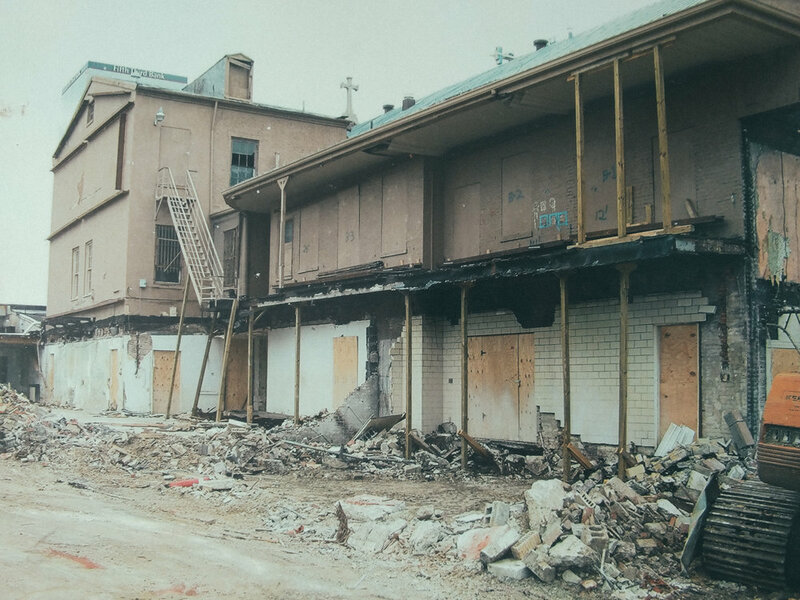 The building served in this capacity well into the 20th century, and was later repurposed as Miller’s Cafeteria, renowned for serving downtowners with 60 years of comfort food. After falling into some disrepair in the latter part of the 20th century, it was rescued in a sense by its long time neighbor, the Christ Episcopal Church, which directed and oversaw significant renovation. More recently the Howard Hardy has once again been reborn to serve visitors in town to experience our great city. Want to know more? Check out these articles!